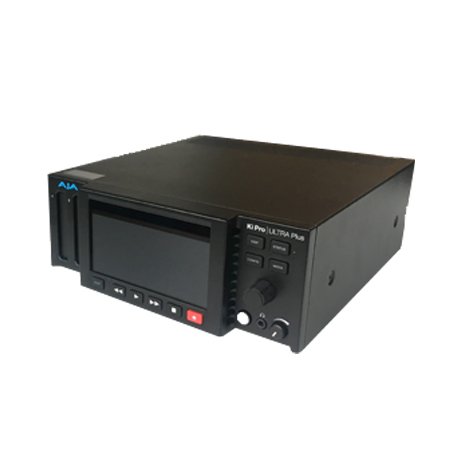 © AJA Video Systems, Inc.
AJA’s Ki Pro® Ultra Plus is a multi-channel HD recorder and player ideal for studio and digital signage applications. With this portable device, up to four channels can be recorded simultaneously in HD quality. Only available as a set with power supply, 1TB SSD memory card and Pak Dock.